California, June 11 (IANS) A $20,000 reward has been offered for information leading to the arrest of the gunman who shot dead the Indian-American owner of a sandwich shop in Los Angeles, the media reported. 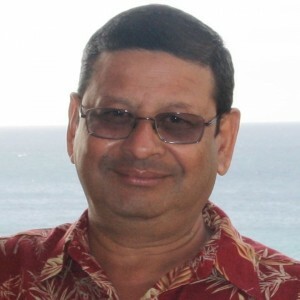 Pravin Patel, 62, was shot in the chest after a robbery at the Quiznos sandwich shop in San Dimas on June 2, said Sergeant Rebecca Rodriguez of the Los Angeles County Sheriff’s Department, KTLA News online reported. “The employee gave over the money and he followed the suspect outside of the location. A struggle ensued in front of the store and the suspect shot the victim,” Rodriguez said. A woman, who ran a business next door, rushed to Patel’s aid and called 911. Patel, also known as Peter, and his wife were the owners of the Quiznos restaurant in the normally quiet San Gabriel Valley suburb, east of Los Angeles. “He was passionate about serving his food and exchanging family stories with his customers. Peter spent every day working side by side with the woman he loved most – his wife Maya (Mary) Patel,” said a notice posted on the shop door signed by the Patel family. Patel leaves behind his wife, a son, a daughter and two grandchildren. Detectives were struggling in their investigation because security cameras were not working at the time of the robbery and shooting, authorities said. The gunman is described as a skinny white or Hispanic man in his mid-20s, around six feet tall, wearing a baseball hat, black T-shirt and plaid shorts during the robbery. The $20,000 reward has been offered by the Los Angeles County Board of Supervisors.